It is the fourth such decision in a row. At a meeting on 6 July, the parliament regulations committee refused to uphold the Prosecutor-General's Office motion to lift immunity on MP Maksym Polyakov, having found it insufficiently justified. "The committee considers the motion to be legitimate and motivate insufficiently justified as far as evidence is concerned," acting committee head Pavlo Pynzenyk said. He also warned against possible office abuse during the investigation. The motion can still be put to vote in parliament by speaker Andriy Parubiy. This was the fourth motion seeking to lift immunity on MPs which the committee did not support. It found the motions for Yevhen Deydey, Oles Dovhyy and Andriy Lozovyy to be insufficiently justified either. 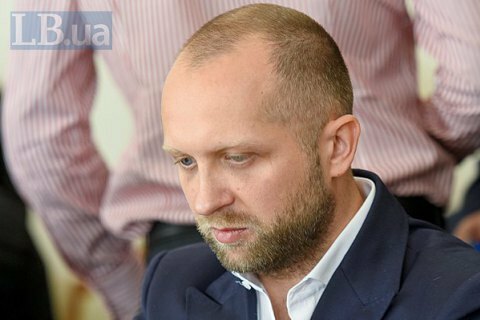 Prosecutors suspect Polyakov of accepting a 7,500-dollar bribe in exchange for lobbying the bill on amber extraction in the interests of a UAE-based company.